Livestock farming was one of the major economic activities during the early Middle Ages. The exploitation of livestock resources became very important since the Visigothic period (C. 415–711 AD), although our knowledge is still considerably limited for the central regions of Iberia. Some historiographical works about stockbreeding during the Middle Ages as well as zooarcheological analyses exist; however, few researchers have focused on the study of farming during the early Middle Ages. 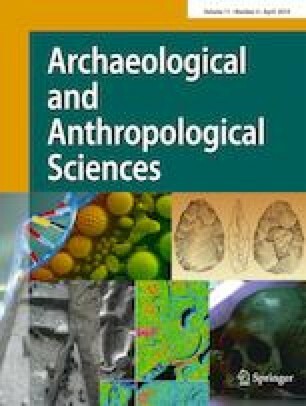 We present here a taphonomical and zooarcheological analysis of several archeological sites, in order to illustrate the range of farming strategies developed in the center of the Iberian Peninsula during the VIII–XI centuries (Andalusian period). This study explores the economic exploitation and management strategies of domesticates such as Bos taurus, Ovis aries, Capra hircus, and other, less frequent animals, such as Sus domesticus, Equus ferus caballus, Equus africanus asinus, and Canis familiaris, in addition to wild species. Our results indicate that Ovis/Capra (caprines) were the most represented species at these sites, even though some animals, such as pigs, were more frequent than what we would expect in the Muslim world. Together, these lines of evidence allow us to discuss not only the economics of everyday life in the early Middle Ages, but also the nature of the changes that Iberian populations experienced with the arrival of Christian conquerors. The online version of this article ( https://doi.org/10.1007/s12520-018-0607-9) contains supplementary material, which is available to authorized users. We are indebted to all the people and institutions that have provided us with collections and materials in order to carry out this study, such as Jacobo del Cerro, Jorge de Juan, Ricardo Benito, Jesús Molero, Joaquín Panera, Raúl Flores, Rosario García Huertas, and Rafael Caballero, as well as to AREA and, particularly, AUDEMA.